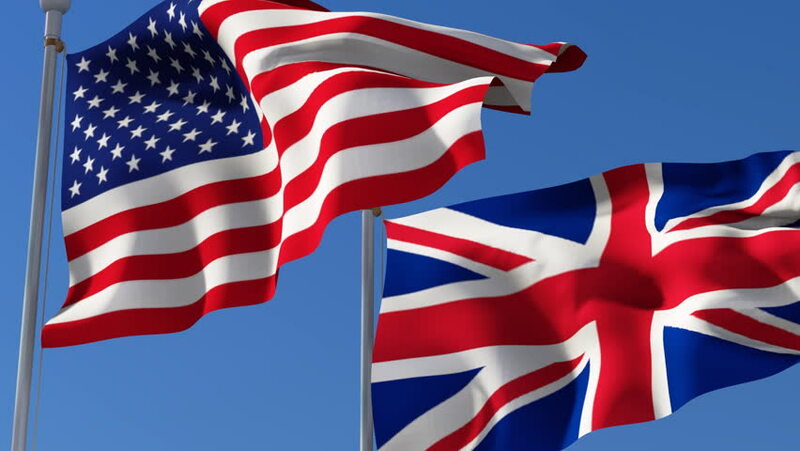 The so-called “special relationship” between the UK and America is Britain’s ruling vanity, based on the assumption that Westminster is the one and only indispensable ally of American power in Europe. This involves a very partial (mis)reading of history. Most European nations believe they have special relationships with America, and the EEC/EU rather than any one state has historically been the chief expression of American power in Western Europe even if that relationship has been strained at times, most notably during the ascendancy of De Gaulle and during the Iraq War. The UK has positioned itself within international agencies as the loudest spokesperson for American interests, but Washington has continued to view Britain as an interchangeable entity, a pawn in a much larger game. Barack Obama thus spoke of Brexit as leaving Britain “at the back of the queue” for trade deals. Obama’s message was that the British state was only strong as the Anglo-American voice inside international agencies. This is both the dominant American view of Britain and the dominant British business class self-perception. Given world conditions today, Brexit clearly involves a weakening of British power and of the model of British nationalism epitomised by John Major, Tony Blair and most of UK capitalism. However, even if the “special” relationship is an expression of British naivety, the alliance between Britain and America has often been the pivot of military strategy in recent decades. Although the UK is not a particularly big player in arms spending, it has compensated for this by its aggressive ideological advocacy for the military enforcement of neoliberalism. This gained expression in particular leadership alliances between Thatcher and Reagan during the “Second Cold War”, between Major and Bush I in the Gulf, between Blair and Clinton over “humanitarian intervention”, and between Blair and Bush II in the “War on Terror”. Although Germany, for instance, has been more important in world economic terms during that period, its military role has been negligible. The same applies to the European Union as a whole: it has stood for the broadly peaceful transition to neoliberal globalisation, while the US-UK axis has represented the armed enforcement of liberal market norms. That axis was built on a synthesis between liberal internationalism and Western nationalistic chauvinism. In America, this took the form of neoconservatism, epitomised by the Project for a New American Century. In Britain, Tony Blair and his advisors reframed the historical, colonial mission of the British state to account for 21st century globalisation, a new model that one of his advisors dubbed “postmodern imperialism”. Fifteen years on, however, this military model has been a disaster for both states. A mixture of outright anti-war sentiment and a more generalised war weariness has made these states unreliable enforcers of neoliberal norms. A whole generation of elite centre-left and centre-right globalisers have lost legitimacy, partly due to the succession of wars, and partly due to the post-2008 austerity measures. One feature of both Britain and America is that the main party of capitalism is pursuing a foreign policy agenda opposed by a clear majority of the business elite. Britain has, for the first time in generations, refused to join American military campaigns. The pacifist leader of Labour has called for Tony Blair, the European leader most clearly identified with American neoconservatism, to face war crimes charges. America has elected a leader with almost no interest in making European alliances: even when Trump makes combative declarations, his preference is to threaten the use of extreme American violence, a variation on Nixon's "madman" theory, the “hard power” of nuclear weapons over the “soft power” of military alliances. This leaves little room for Britain to act as a cheerleader for American interests. Moreover, even when Trump is replaced, Britain’s exit from the European Union could weaken beyond redemption Britain’s ability to lobby for the American cause. The post-2016 transformation in Anglo-American politics has paradoxically brought a new legitimacy to the European Union. Before Trump and Brexit, the EU had entered a phase of ignominy due to the extremity of its experiment in austerity in Southern Europe, a project which had caused untold economic and social damage. Lately, the risks posed by right-wing populism seem to have re-energised this previously moribund centrist project. On various Anglo-American university campuses, EU t-shirts have become arguably the strangest ever form of liberal protest politics. However, even if Brexit has temporarily restored some “unity” in the European project, the endgame for Europe is now far from clear. Only fear of an abyss of right-wing populism seems to be keeping the Union together. Can anything restore the power and prestige of the trans-Atlantic globalising alliance, in both its military and its economic forms? For this to happen, a new synthesis of liberal internationalism and national chauvinism would be necessary. Currently, these two parts of the project are broken and at war with one another. However, a common foe might provide them with the pretext for a new Western project. Since the end of the Cold War, American strategic thinkers have lamented the absence of an “enemy” to guide the morality of Western power. This role was temporarily occupied by Islamist terrorism. But the “blowback” of these interventions quickly inspired anti-war protests and, more broadly, war-weariness in the broader population and left a pervasive cynicism in politics rather than a new moralism. Nonetheless, while new wars are likely to find little support, an easily-demonised nemesis is always the basis for any common international project. Today, the new tension with Russia offers some potential for restoring the Atlantic Western alliance. Putin has been an obsession of Western liberals for some time. Regardless of the truth of the affair, the Salisbury poisoning case has added to a list of complaints about Russian interference in Western politics. For Euro-American liberals, this is an opportunity to project their preferred model for a new imperial axis of power. Many obstacles stand in the way of this. Not least of these are the links between Putin, the oligarchs and dominant Western party structures. Trump is not alone in this respect. There is Putin-linked Russian money in the Conservative Party and many other influential parts of the Atlantic alliance. More broadly, Putin has been something of a counter-culture figurehead for an increasingly powerful right-wing populism in the West. The Trump link, however, remains the most troublesome: will the President succumb to pressure, at the risk of further exposing his links to Putin, or continue to remain aloof from the new conflict with Russia, at the risk of being overthrown by anti-Russian elements of the American ruling class? The result matters, because Europe clearly cannot act alone against Russia, particularly while it remains divided over Brexit. Of course, even if the worst accusations against Putin are true, the issue is still saturated in Western hypocrisy. This should go without saying. With full European complicity, America has spent generations “influencing” elections and engaging in “targeted assassinations”. Political scientist Dov Levin notes 81 cases of American meddling in foreign elections between 1946 and 2000. Famous cases include the campaigns against Mossadeq, Lumumba and Allende, but CIA interventions even took place inside Western Europe, including the fixing of Italy’s 1948 elections. As for assassinating political opponents, this was notoriously the central plank of President Obama’s “drone war” foreign policy. Nonetheless, for a nationalist, liberal, non-radical Left, the attractions of an anti-Putin alliance remain clear. It allows for a re-moralisation of Western states and international structures. It allows for a certain intersection between liberal identity politics and imperialism, just as liberal feminism often acted as a cover for the War on Terror. And it can mobilise imperial chauvinism as a force in combatting the influence of the populist right. Strangely, Brexit Britain may emerge as the strategic lynchpin of this liberal alliance. The UK, after all, takes the part of the injured party in the affair, and has milked this as a very effective means of deflecting from its many internal and external problems. It has even (temporarily) helped soothe relations with the European Union. However, much depends on the outcome of political struggles. Brexit has swept out the liberal globalisers from the Conservatives, meaning that Labour is the only party of potential restoration. However, the centrists in that party have also been left adrift from political influence by the popularity (in London, especially) of Jeremy Corbyn. Corbyn has often been the victim of anti-Russian hysteria from sections of the globalising UK elite, and has often opposed a bellicose foreign policy. Britain is also hemmed in by an insurgent Scottish Nationalism. This latter force has an ambiguous role to play. Its current leader, Nicola Sturgeon, is a classic Third Way globaliser who has consistently followed the general EU foreign policy drift, supporting Western invasions in Afghanistan and Libya while opposing them in Syria and Iraq. However, former leader Alex Salmond is a more populist and unruly figure. He currently presents a show on Russia Today. Neither especially left-wing nor right-wing, but capable of flirting with both sides, Salmond stands for a Scottish Nationalism that has occasionally proved bothersome to dominant norms, mostly notably during the NATO bombing in Serbia. The role of Labour and the SNP thus remains uncertain: both remain divided between establishment-oriented liberals and less easily controlled populists. Britain is also waiting on the outcome of American political struggles. The Brexiteers have looked to Trump as the most likely supporter of their new brand of British nationalism. However, large parts of the American ruling elite are set on deposing Trump, considering him an embarrassment to US ambitions. Russia remains the most likely pretext for this. Such a deposition could restore America’s role as the voice of liberal, globalising consensus. However, it would leave a substantial, embittered and unmanageable bloc of protest, with right-wing and (to a lesser extent) left-wing elements. The result of this struggle is unclear: what is clear is that it will be an ideological proxy for the Western approach to Russia. Trump, meanwhile, will cast about seeking non-Russian enemies in a bid to deflect attention from his links to Putin. Regardless of what happens in America, outright war is unlikely. War weariness is a significant factor in Anglo-America, and the costs are far too high. A more likely pattern is a generalised ideology of paranoia, criss-crossed by proxy wars, targeted assassinations and “influenced” elections. More of the same, in other words, but with greater intensity as the anti-Russian model becomes a more prominent feature of Western politics. What is clear is that Western politics no longer has a positive vision to offer. The ideal represented by Blair, Clinton and Bush, the white man’s burden approach to military strategy, with Anglo-America bearing the gifts of civilisation and commerce, is no longer believed by anyone. The project of European integration might survive the Eurozone disaster, but it will never again represent an ideal model of humanity’s harmonious capitalist destiny, as it did for centrists before 2008. Fifteen years after Iraq, ten years after the crash, Western politics has not regained legitimacy. However, the absence of coherent, organised anti-systemic politics from the Left has left a hopeless drift into a battle between the ruling establishment and a right-wing populism linked, in the paranoid mind, to Putin’s Russian ambitions. This offers one pretext for restoring a generalised Western neoliberal model that should have been consigned to history by its many misadventures.